​On March 24, 2018 I went to Washington D.C. for the student march against gun violence to do a photo essay- “March For Our Lives: Am I Next?” (http://www.tgoldmanphotography.com/march-for-our-lives-am-i-next.html). I’m enraged that our county hasn’t moved on preventing gun violence. But the march and rally were extraordinary with sister marches around the country and the world. Hopefully things will start to change. Just six weeks after the Parkland school shooting, Gov. Rick Scott of Florida signed into law a series of reforms. It did some good like raising the minimum age for gun purchases from 18 to 21 and banning bump stocks, but sadly did not address assault weapons, high-capacity magazines and background checks- seems like a hollow victory. March For Our Lives left an indelible impression on me that the story of gun violence can be told in just one image- a mother clutching her child whose shirt asks: “Am I Next?”… Since Parkland, the killing goes on unabated and I can’t keep track. 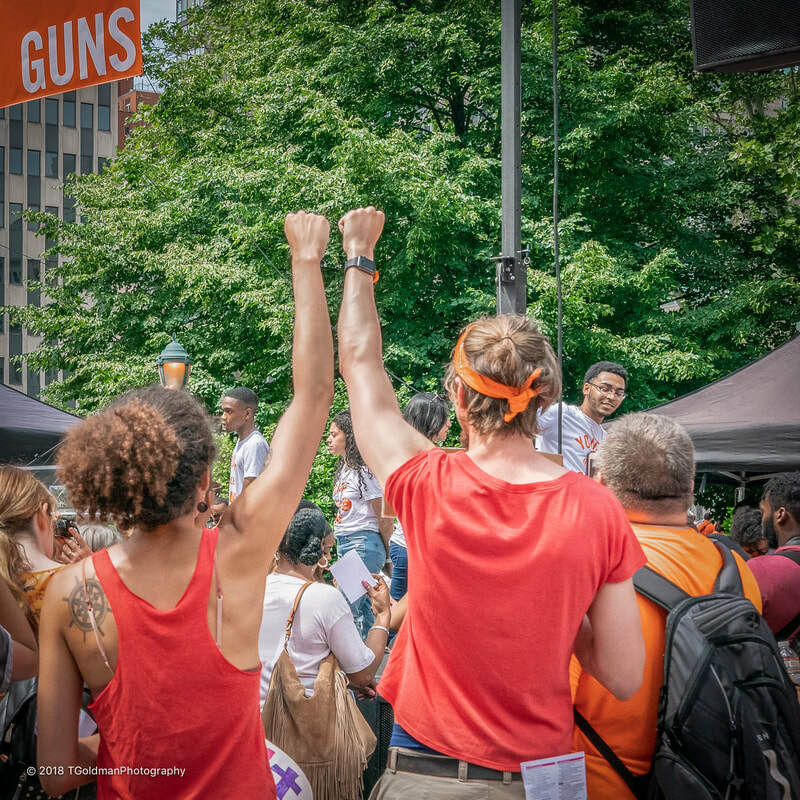 ​When I heard about the Youth Over Guns march and rally to be held on June 2, 2018, I was motivated to go but couldn’t see what I might add with another photo essay. That changed when organizers moved the location from Trump Tower to the Brooklyn Bridge. For me the Brooklyn Bridge is an amazing, beautiful and inspiring site, and I’m always looking for an excuse to photograph it. 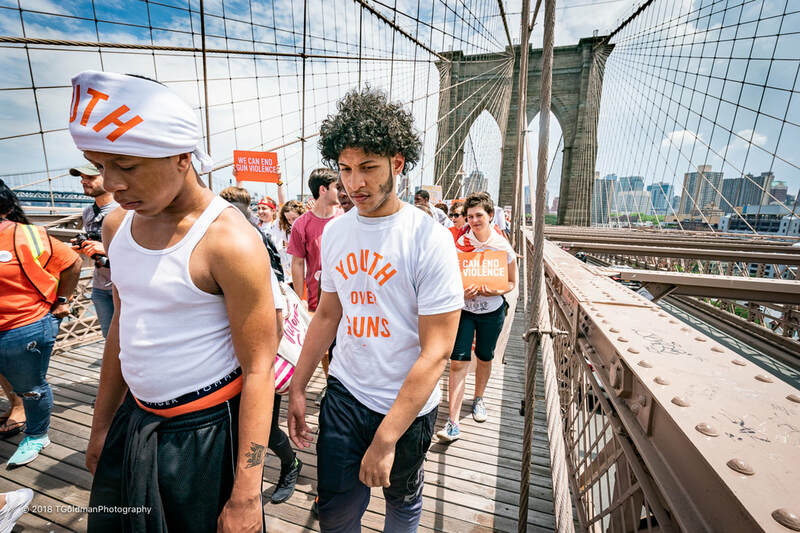 But to make it meaningful there had to be a connection between Youth Over Guns and the Brooklyn Bridge: what could it be? 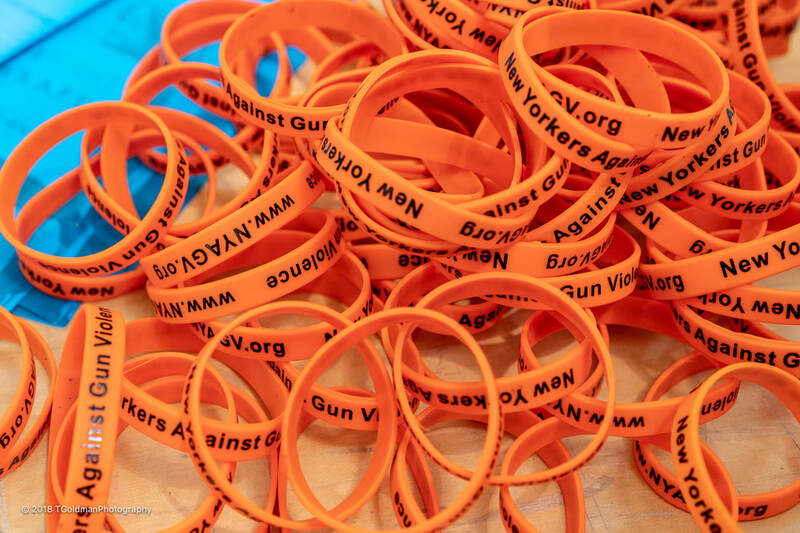 The answer is the connection between the challenge of building this bridge and the challenge of eliminating gun violence- both monumental tasks. In the late 19th century it was about spanning the great divide of the East River and in the early 21st century it is about spanning the great divide over guns. In the 1860’s, crossing the East River from Manhattan to Brooklyn meant using a boat. 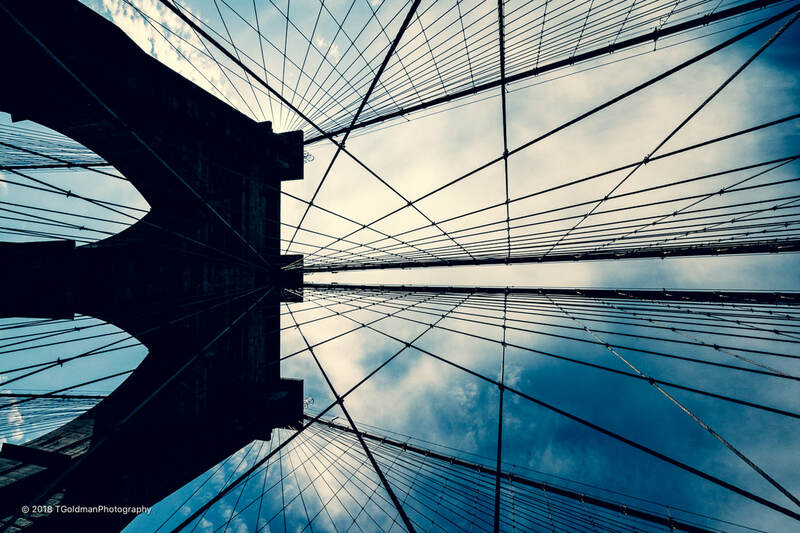 A bridge over the river was unthinkable until German immigrant John Augustus Roebling conceived a workable idea in 1852 (yes, immigrants do bring value- and that’s another story). 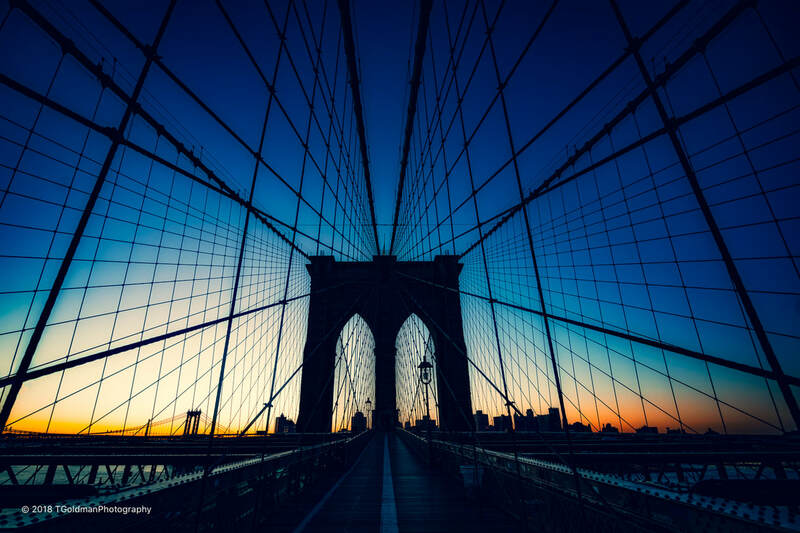 After 15 years of selling his idea, construction began in 1869 and the “New York and Brooklyn Bridge” (later named the Brooklyn Bridge) opened on May 24, 1883. Six hundred workers were involved with at least two dozen dying including Roebling himself. His son Washington A. Roebling took over in his place. Attitudes about guns in America span a divide which seems much wider than the Brooklyn Bridge’s 6000 foot total length. The need for a bridge between Manhattan and Brooklyn was obvious if someone could figure out how to build it and keep it from falling down. When it comes to guns, the divide separates people who demand total freedom to bear arms from people who demand that the carnage stops. It seems less about building a bridge and more about victory for each side. The solution for the East River was an engineering marvel: the first steel-wire suspension bridge. Its hybrid cable-stayed/suspension design uses four 15.75” cables from which the bridge deck is suspended. Each cable contains 5,434 parallel steel wires arranged in 19 strands of 286 wires- more than 21,000 individual wires were encased within the four cables. The deck is suspended from the four cables by 1,520 steel wire ropes and 400 diagonal stays. That is, a bridge which carries approx. 150,000 cars a day plus walkers and bikers is held up by a bunch of skinny wires. 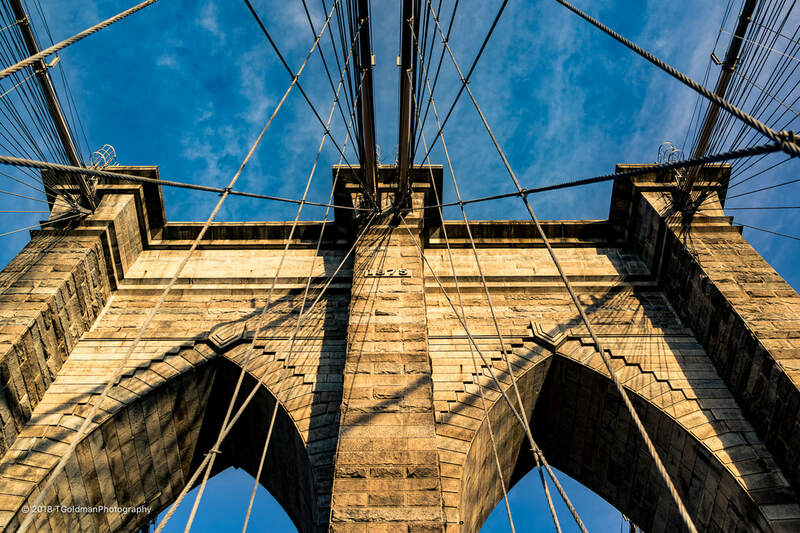 And it all works: the Brooklyn Bridge has been standing strong for 135 years. Eliminating gun violence will take no less of an engineering marvel- but human rather than technical. 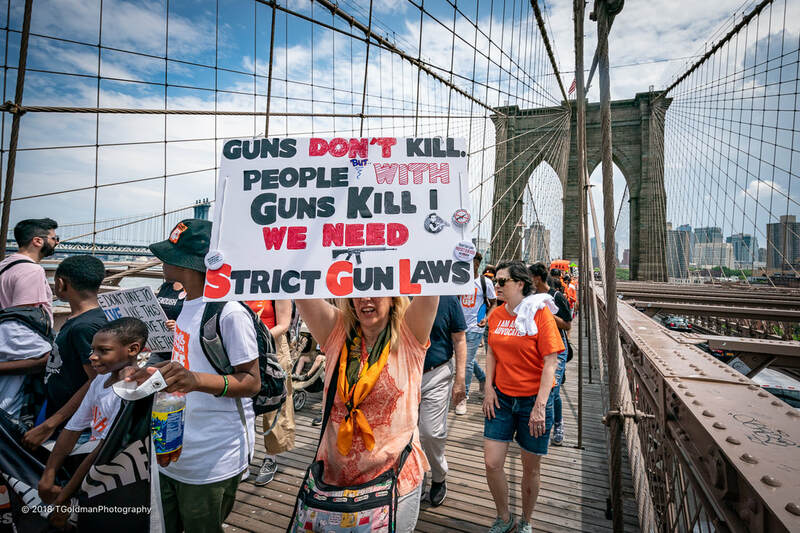 Just as every wire used for the Brooklyn Bridge has limited strength, the young people who are trying to end gun violence have limited power. 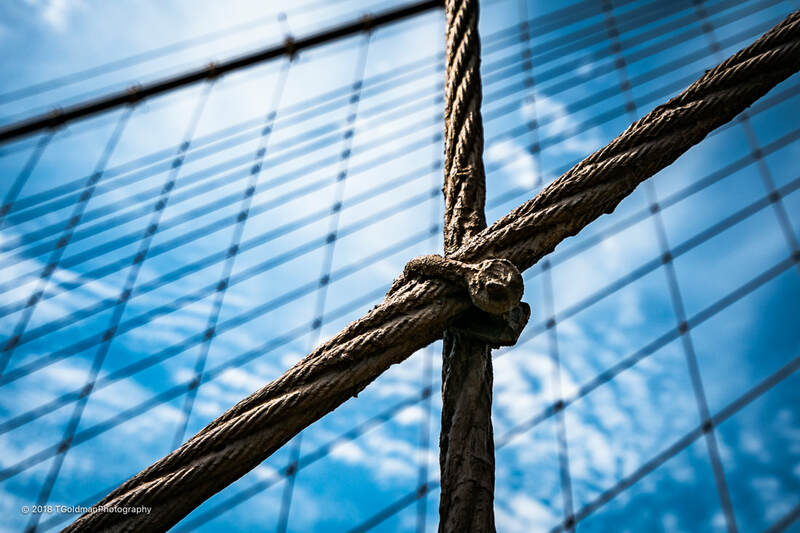 For the Brooklyn Bridge, it is all those thin wires that come together to provide the needed strength. 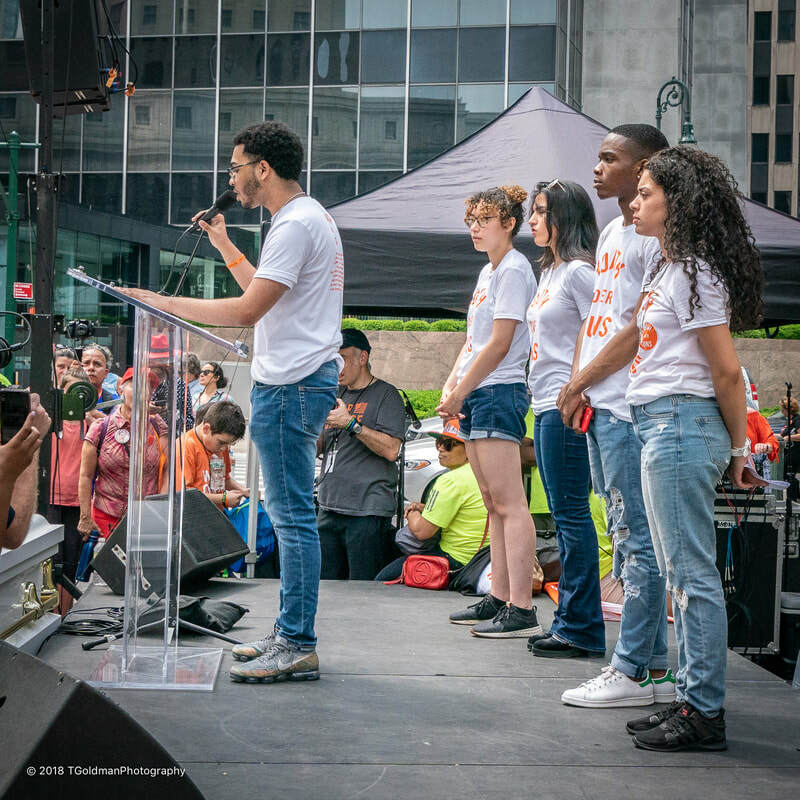 For the anti-gun violence movement, it is all these young people who must come together to provide the needed power for change- they must be Strong Like A Bridge. 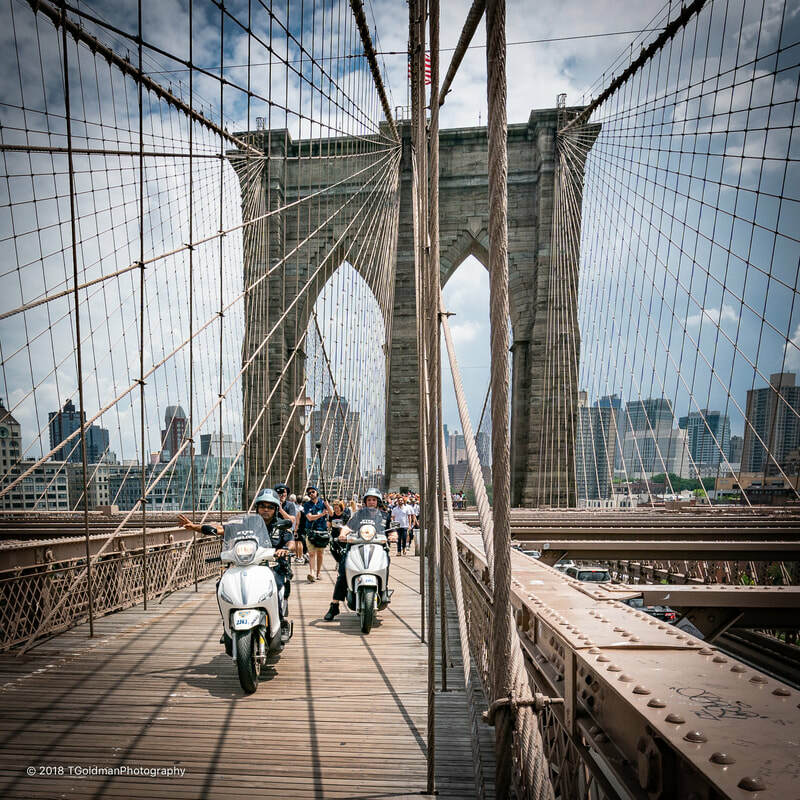 This photo essay combines images of the march and rally with images of the Brooklyn Bridge. Think of the bridge as a symbol of spanning a great divide- a metaphor for overcoming great odds. Think of every person at the march and rally as a single wire that can be lashed together with others to become strands of like-minded people, and then strands that can be wound into ropes to become programs and initiatives, and then ropes than can be encased in cables to become a movement… If we are ever to get control over gun violence in America, the effort must be Strong Like A Bridge… And just like the Brooklyn Bridge, the anti-gun violence movement is a thing of beauty. ​Sunrise view of the Manhattan side tower facing Brooklyn. While the maze of cables and ropes were a structural design, Roebling was an artist- perhaps without knowing it. 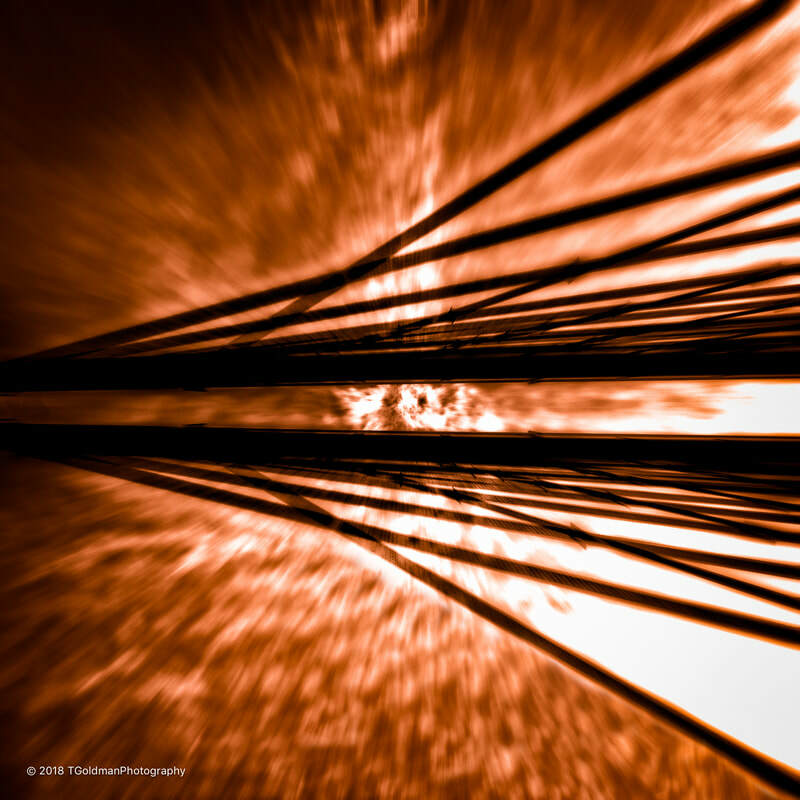 ​This dizzying view shows the four cables attached to vertical ropes that intersect the diagonal stays. ​The diagonals splay out from the towers along with the four cables. 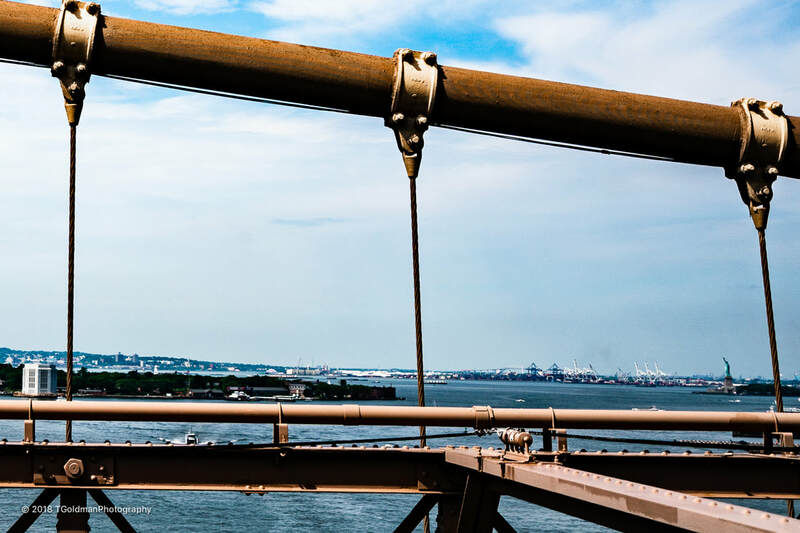 This interplay of wire ropes provides strength along with the ironic beauty of the bridge. ​The verticals and diagonals are linked at every cross-point, just as the young people are linked for the movement to save lives. ​A cable with three vertices in sight of Lady Liberty (lower right)- she welcomed Roebling in the early 1830’s. ​Exposed wire ropes are coated with a brown rubbery material for protection. ​The core of the bridge’s strength: with the coating removed, individual wires are laid bare. ​The gathering point for the march was the Korean War Veterans Plaza on the Brooklyn side of the bridge. Youth Over Guns founder Ramon Contreras speaks to the media. 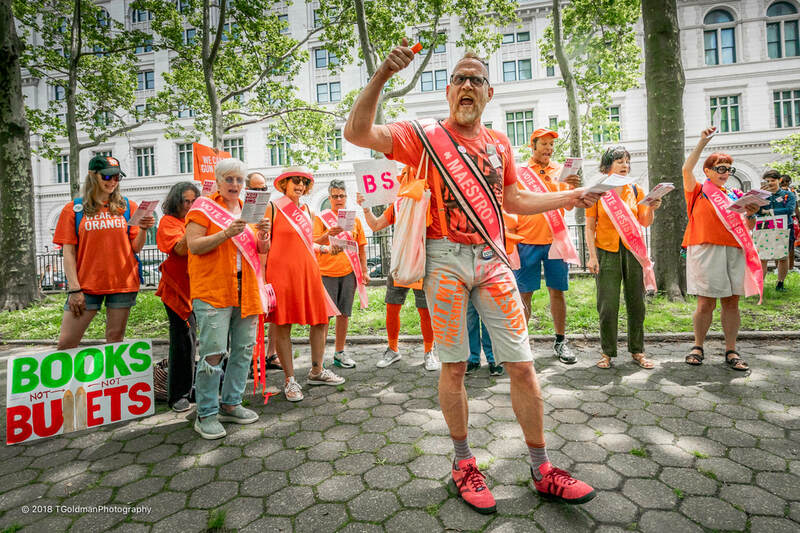 ​Marchers carried signs and wore orange. This marcher showed the latest in anti-assault rife headwear. “So pitiful, the NRA: A cult of guns and greed. and watches while we bleed. ​A young rapper inspired the crowd before the march. ​Even a star came out. 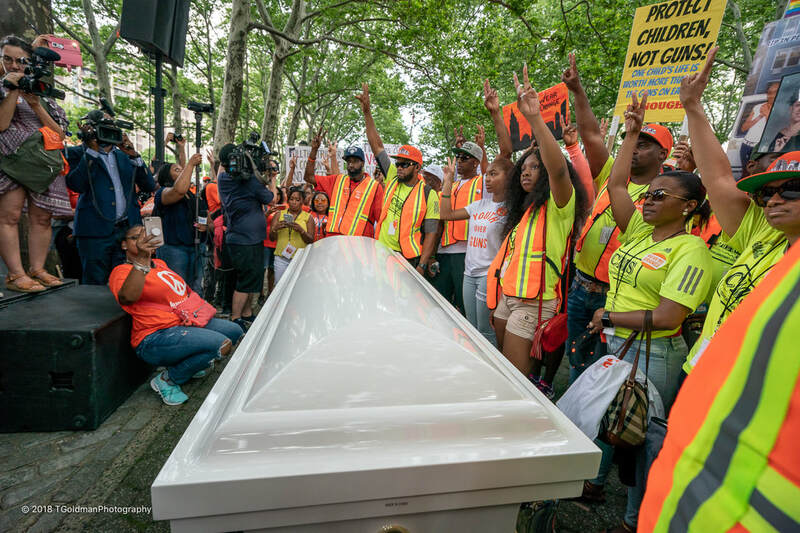 A casket was used to make the most important point about gun violence: people are dying!… I wonder if anyone noticed the sticker on the end: Made In China! 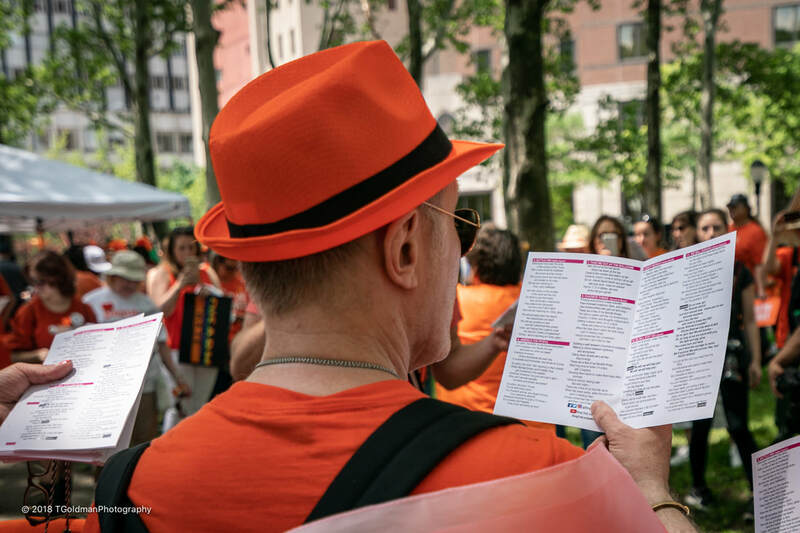 ​Ramon: Are you ready to march for saving lives? ​New York’s Finest led the way. 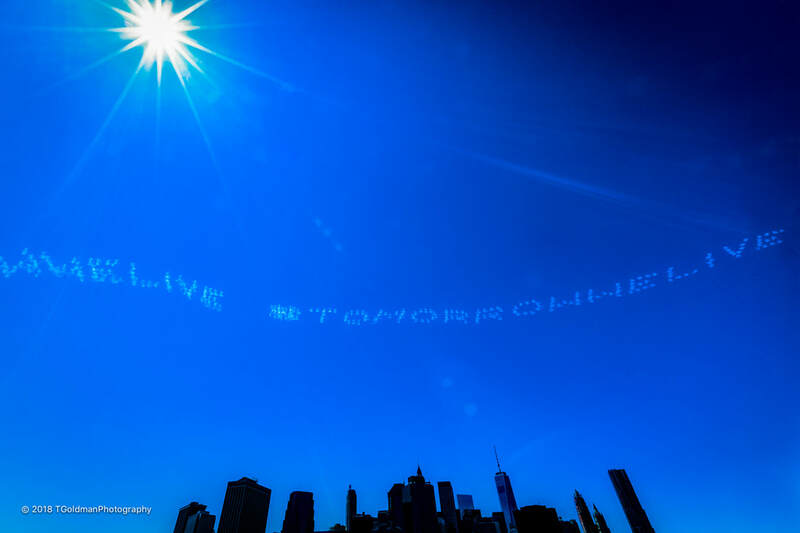 Marchers may not have realized it, but the Brooklyn Bridge is their hidden inspiration. ​Ramon and his team escorted the symbolic casket. ​Many marchers were as loud as they could be trying to be heard on both shores. ​Some let their signs do the talking. ​Some were quietly somber about what they face in school and on the street each day. ​And there were smiles- the way it should be for children. ​But as a person of color, he faces a much greater risk of dying from gun violence. 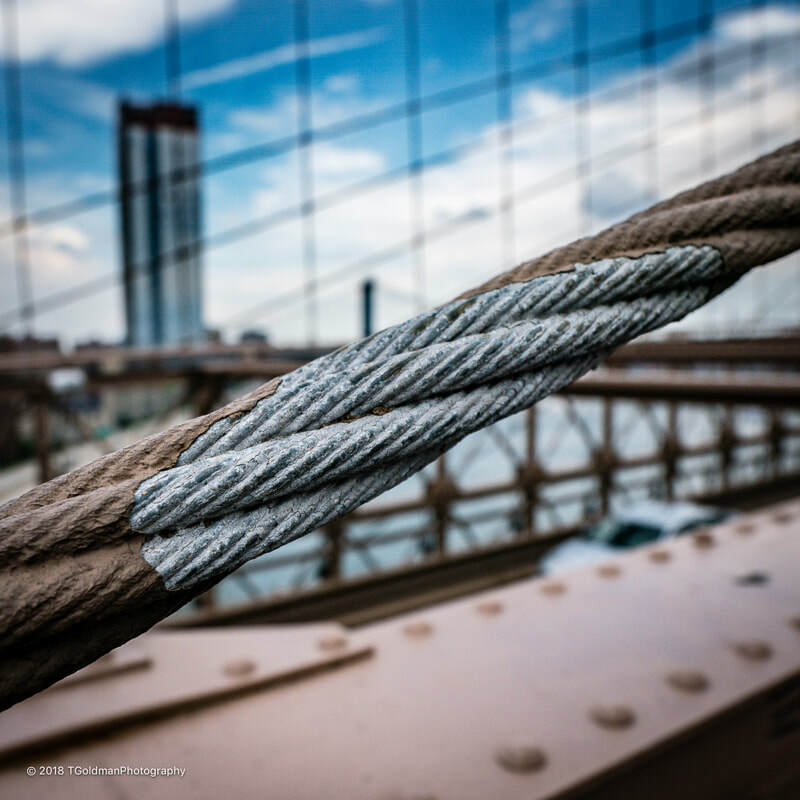 ​Embraced by Roebling’s wires, strands, ropes and cables- these marchers are Strong Like A Bridge. ​Ramon made it absolutely clear that brown and black people are at so much greater risk than are their white counterparts. He asks, begs, pleads, and demands that our society invest in communities of color, and reform policing and the criminal justice system. ​He left the stage with well deserved acknowledgment. 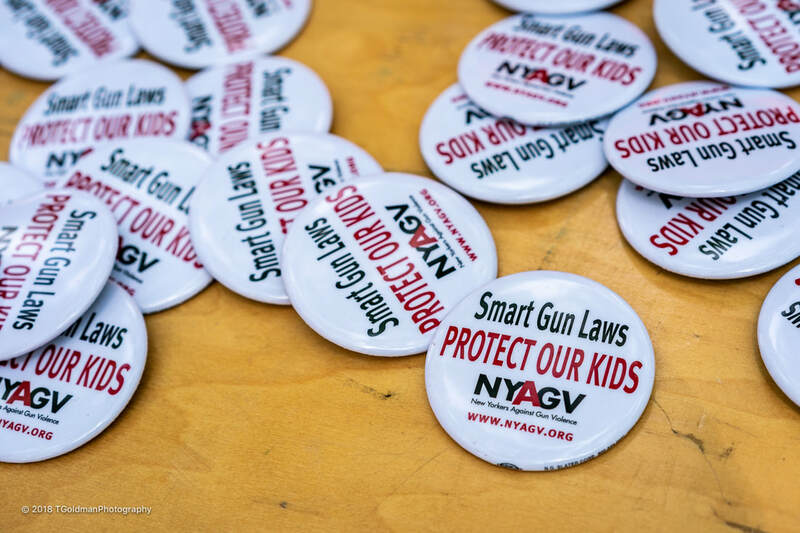 ​Is the anti-gun violence movement going to be successful? The same question could have been asked about the anti-Vietnam war and civil rights movements. Those efforts took a long time and many people died along the way. The war ended completely, though many who fought still suffer to this day. Civil rights have greatly improved for people of color, but so much more needs to be done. Where the anti-gun violence movement ends up and how long it will take to get there is unknown. My hope is that the wires, strands, ropes and cables of this movement will resist the fire and fury raining down from those who are more interested in guns than saving lives: be Strong Like A Bridge.